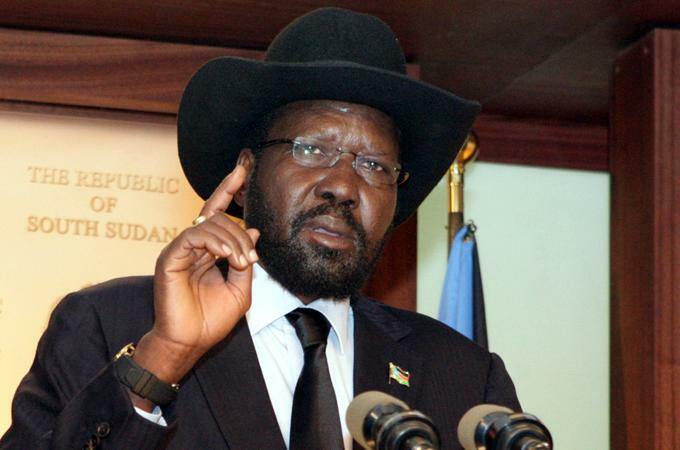 South Sudan President Salva Kiir, has sacked several top police generals, including inspector general of police two days after his government lost the ministry of interior to the armed opposition faction of the Sudan Peoples’ Liberation Movement in Opposition (SPLM-IO) under the leadership of former vice-president, Riek Machar. The purged generals included a long serving police inspector general, Pieng Deng Kuol and his deputy, Andrew Kuol Nyuon, and have been replaced with Makur Arol as new inspector general and Biel Ruot as his deputy. The order was broadcast by the state owned South Sudan Television but did not elaborate on the motives of the changes at the time the government and armed opposition are expected to form a new transitional government of national unity. The docket of the ministry of interior, according to the selection of ministerial positions conducted last Thursday will be occupied by the nominee of the opposition faction of SPLM-IO who will recommend a new inspector general to command the police force in the country. The latest move is also seen as a way to curb the power of influence of some of the officers in the security and police services which have long influenced politics from behind the scenes. 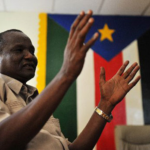 General Kuol previously served as deputy chief of general staff for finance and administration in South Sudan’s army (SPLA) before being removed from active military service in 2013 and put on reserve list of senior military officers who have been awaiting reassignment. His former deputy, general Nyuon was one of the longest serving high ranking police officers in different capacities until he was appointed to the position of deputy inspector general of police. Both worked under the overall command and administrative supervision of the former interior minister, General Aleu Ayieu Aleu, an ally of president Kiir, who until he was removed from the interior docket in 2015, had played a role of political king-maker for several years by seeking to influence leadership choices behind the scenes. Changes in the security sector are closely watched in South Sudan, which has been plagued by the ethnic and political violence since gaining independence from neighbouring Sudan in 2011. 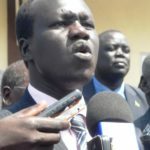 Speculations trying to understand the motives behind the removal of General Kuol in particular, who is seen as a close ally of the army chief of general staff, Paul Malong Awan, another strong military ally of President Kiir, have centred on his possible role in the African Union (AU) report of inquiry. Remarks attributed to him [Kuol] in the report on the atrocities committed by governor forces in December 2013 have been largely interpreted by military and political allies of president Kiir to mean targeting them. 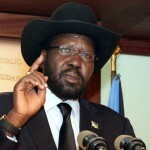 But some analysts see the changes in the police top command as another sign of the waning influence and trust of the president in some of the officers as opposition forces will infiltrate the police force through the implementation of the peace agreement signed in August between President Kiir and Machar in ending 21 months of war. Relying on oil by 98 percent of its budget and virtually zero exports in other economic sectors, the youngest state on the African soil has been hit by a drastic oil price fall that has slashed its energy revenues by more than half over the past two years of the conflict which has polarized and classified the country into ethnic cantons.